The Arikaras are closely related to the Pawnees. The names comes from the word pariki (horn). The Arikaras, like the Pawnees, had a special way of preparing the scalp lock by dressing it with buffalo fat until it stood erect and curved backward like a horn. They were mainly farmers and raised crops of corn, beans, pumpkins and melons. By the 17th century the Arikaras lived in villages along the Missouri River in present-day North Dakota and South Dakota. The population was drastically reduced by a smallpox epidemic in 1780. In October 1804 members of the Meriwether Lewis and William Clark exhibition encountered the Arikaras. They gave a friendly reception to the explorers and were extremely interested in trading goods. They also took members of the party on a buffalo hunt. Lewis and Clark unsuccessfully attempted to negotiate a peace treaty between the Arikaras and the Mandan. 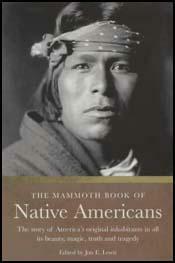 Like the Pawnees the Arikaras were traditional enemies of the Sioux. 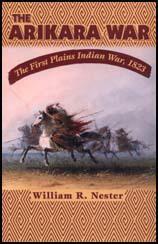 They therefore were willing to contribute warriors to help the American forces during the Indian Wars. This included joining Frank North and his company of Pawnee scouts. In 1865 North's scouts accompanied Brigadier General Patrick Connor on the North Plains expedition from Julesburg to the Tongue River. On 23rd August the Arikaras fought against a Sioux and Cheyenne war party and killed 34 warriors. Later that month the scouts directed Connor and his men to an Arapatho village and was able to capture 750 horses and mules. In 1870 survivors of the Arikara and Mandan were placed in the Fort Berthold Reservation along the Missouri River in North Dakota. Some of these were recruited as scouts by General George A. Custer and were killed during the battle of Little Bighorn. 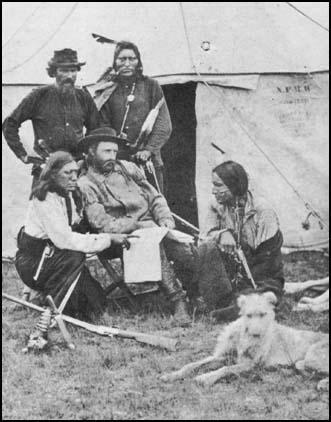 General George A. Custer and his Arikaras scouts in 1873.